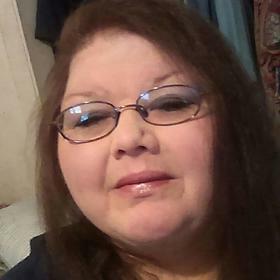 Myers, Candy 54 of Muskegon, MI passed away December 20, 2018 at Mercy hospital after fighting years of illness. She was born December 23, 1963 to Howard and Juanita Myers. Her childhood was spent in Grant going to Grant schools, later she lived in Ravenna, Hardy Dam, and finally Muskegon. She was proceeded in death by her father Howard Myers and her soulmate Thomas (Brian) Teague. She is survived by her mother Juanita Dallmann, 4 daughters Tessa (Brett) Croschere of Muskegon, MI, Raven Myers (Oscar) of Muskegon, MI, Nina (Tim) Crews of Thomas, OK, LeeAndra Myers ( Fermin) of Muskegon, MI, her son David Myers of Kincheloe, MI, 26 grandchildren and 5great grandchildren. Also by her 5 sisters Pam (Al) Christensen of Grant, MI, Mary Myers of Muskegon, MI, Janet (Cliff) Crystal of Sand lake, MI, Dawn (Mike) Hoffman of Covert, MI, Kerri (Greg) Bier of Grant,MI, her brother Ardie (Kelli) Myers of Sparta, MI. Lots of nieces and nephews, aunts and uncles and cousins. Her special friends Jody Mockerman Lorrie Beck.